← The ceiling is painted! Is your brown sugar as hard as a rock? 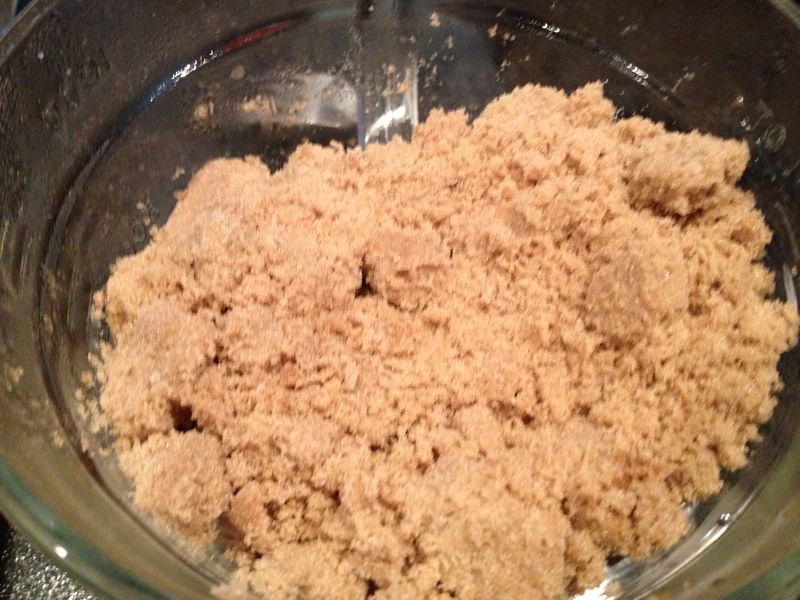 Place the brown sugar in a microwaveable container. 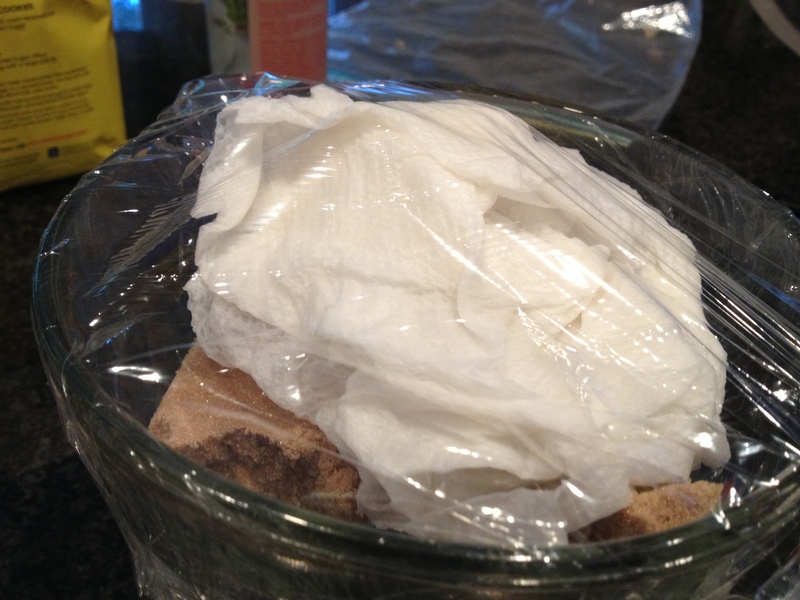 Place 2 damp paper towels on top. Microwave on high for 30 seconds, and then fluff the sugar. Continue at 10 second intervals until the sugar is soft and ready to use! This entry was posted in Breads/Muffins, Brownies, Cake, Cookies, Desserts, Natural Remedy, Pie, Recipes, This and that.. and tagged brown sugar, hard, microwave, soften. Bookmark the permalink. 2 Responses to Is your brown sugar as hard as a rock? Love it! 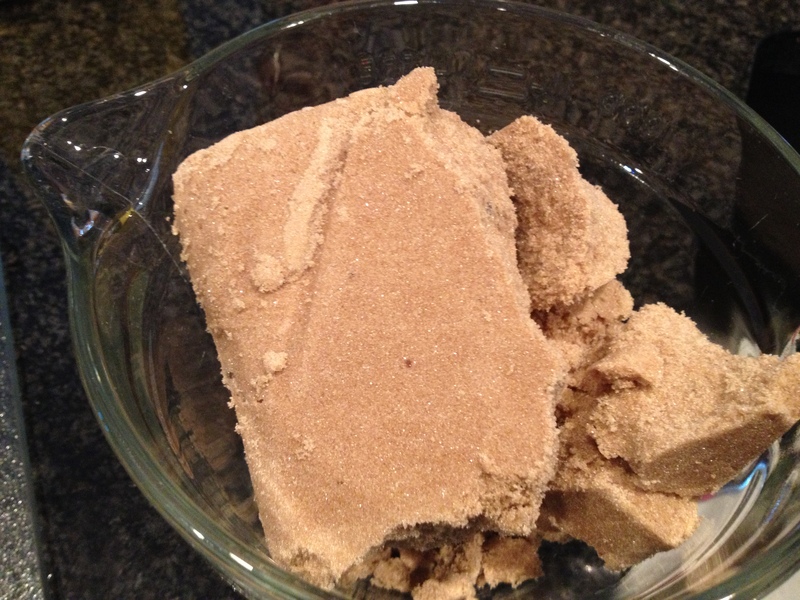 I always have that problem and end up chopping the brown sugar with a fork – doesn’t work so well. Will definitely try this.